Summer lawn care: Save water. Save money. 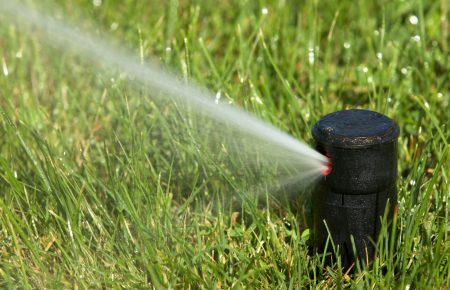 Water use spikes during summer months as residents turn on their sprinkler systems to water their lawns. Summer water demand on city water supplies is nearly five times higher than in the winter. While everyone loves a green lawn, most people don’t realize they are overwatering their lawns. Try using these tips at your own home to save money on your utility bill and save water while you’re at it! Make your lawn more resilient and drought-resistant. Water deeply and infrequently (once per week or less). This encourages grass roots to grow deeper, allowing them to tolerate drought better. Wait to water your lawn until grass doesn’t spring back right away after you’ve stepped on it. Keep your grass a little longer (3-4 inches tall), as it retains water better. Most lawns could be watered less often and still be a lush green. Don’t water your lawn every other day – turf grass experts at the U of MN suggest that most lawns only need to be watered once a week under normal conditions. Your lawn only needs 1 inch of water each week, including rain. Don’t know how much it rained? Get a rain gauge, record rainfall on your calendar and adjust your watering schedule accordingly. Some weeks it isn’t necessary to water. Don’t be afraid to take a more hands-on approach with your automatic sprinkler system! Consider installing a rain sensor. Live on a lake? Save some serious money on your water bill by irrigating your lawn with lake water! Depending on your water usage, your lake pump could pay for itself in one season. The nutrients in the lake water are an added bonus, fertilizing your lawn for free! 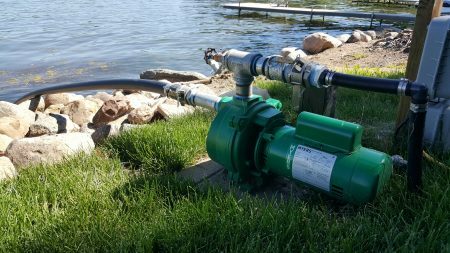 If you are a resident of the Prior Lake-Spring Lake Watershed District (PLSLWD), you may be eligible for cost-share funds to pay for a portion of your pump. Make sure to apply for funds before you purchase your pump. Have flowers or a garden? 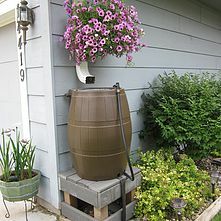 Use rain water captured from your roof & store it in a rain barrel to water your plants! PLSLWD also has cost-share funds available to District residents for rain barrels. Not only will these tips help save you money and keep your lawn healthy and green, but it will also protect our important groundwater resources for the future!